So, I'm jumping around, and this post also has nothing to do with any work I've been doing, but instead more documenting the house I bought and the renovations I'm doing. 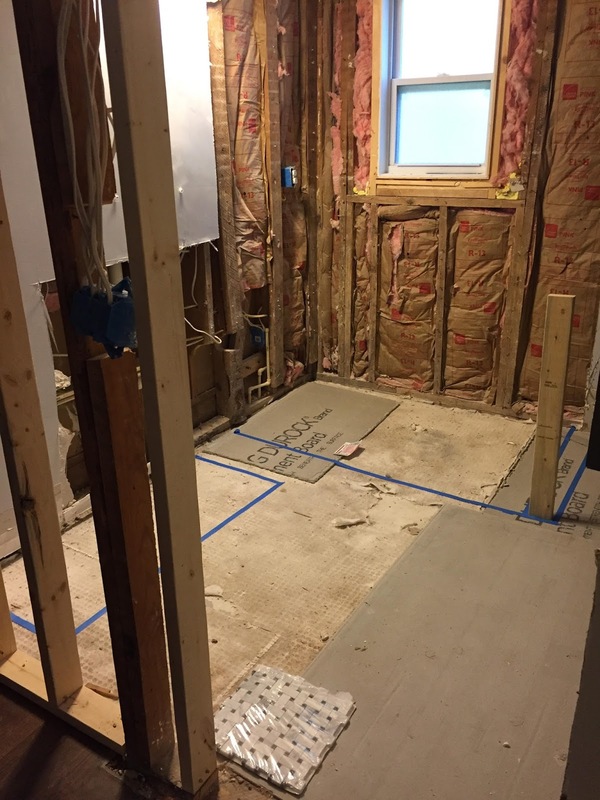 The back part, where the tub is, used to be part of the patio. The current laundry room is also part of the converted patio. So, since the tub area was over concrete (patio) the guy who owned the house before me, wanted to put a tub there without having to drill through (what I learned was 8"thick) concrete. So, he LIFTED the tub on top of the concrete, and in order for it to go there, it had to be raised. hence the hilarious stairs. It has been really funny taking showers in there. You have to walk UP, then step back down. It's actually pretty dangerous, but at least I have a handrail. haha! 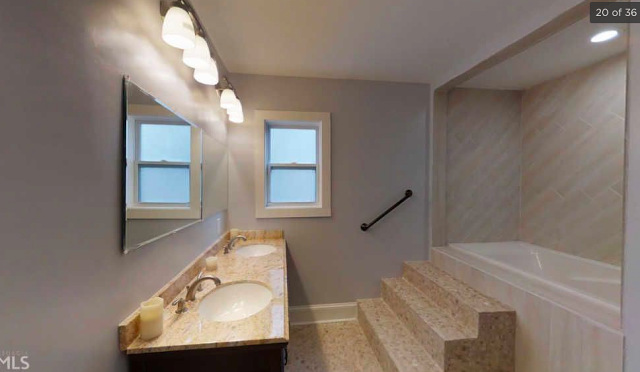 It's all pretty awful, and the tan travertine tile just isn't my thing. Neither is the vanity. I decided to move the door over to the right. It used to be on the left of where it is in this photo. Can you see? I did this in order to have a larger vanity. I could've only gotten a 40" one before, if I'd done the vanity to the right when you walk in, but now I can get a 48" one, and a better view, in my opinion. And a very quick sketch of elevations I drew really quick for you guys. I know some people aren't visual, so my words may not make sense. Hopefully this helps. 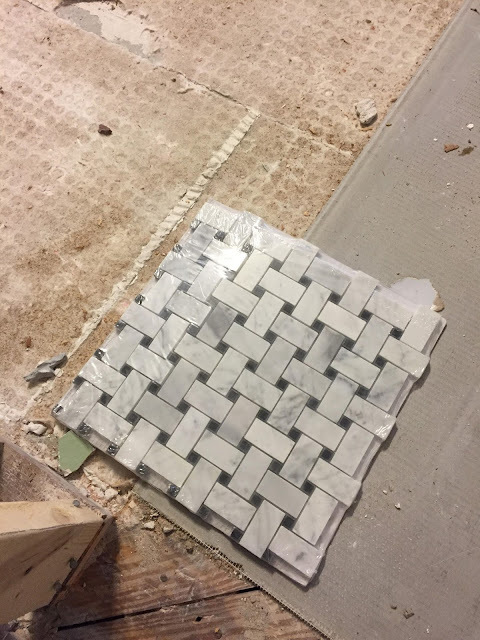 After we started gutting it, the contractor told me that there were not one but TWO layers of tile on the floor, and that the porch floor was 8" thick, so not fun at all to drill through. Poor guy. But they did a great job. Tomorrow the rough ins for plumbing happens. I bought it in polished nickel. 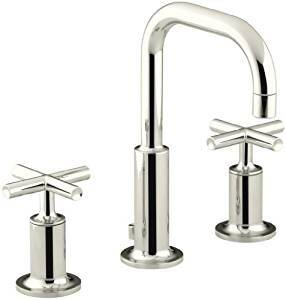 I have used it a lot in brushed brass and I do love that look, but decided that this one was probably better for a fickle designer like me :) I can do brass pulls on the vanity to get my brass fix. And I do love polished nickel. I plan to change out the hardware to something brass. Glorious shot of the tub! ha. I do like it though, because it's squared off and not round. Going to go with this cheap classic in the tub. I guess that's it for now... standby! I will post more. Also, feel free to follow along for more progress and also some Insta-stories at my Instagram handle, @kfddesigns. Hey! I have made some updates to the house, and wanted to document here, so I can remember what things used to be. Everything feels kind of slow-going, but really it's been a lot, and I feel like money is just flying out left and right. Haha. However, I have planned and saved for this, so it's really excited to finally be doing it. I want to enjoy each decision and change, but it's very easy to get caught up in the mind set of "I want it all done NOW!" Anyway, some progress! When I first bought the house, I didn't move in until about a month after closing. Like I said in my last post, I did a lot before move-in (like paint all the walls, paint the doors, put in a privacy fence in the backyard, lots of handyman check list stuff, etc etc). One of the changes I made early on was this semi flush mount in the hallway. I plan to paint a fun "wallpaper" look in this hallway, but not until after the bathroom reno (Which is the door to the right in this photo. It is moving a few feet down to the right. That bathroom reno is going to be intense). I got the farmhouse style light fixture on Amazon for around $50. I love it. 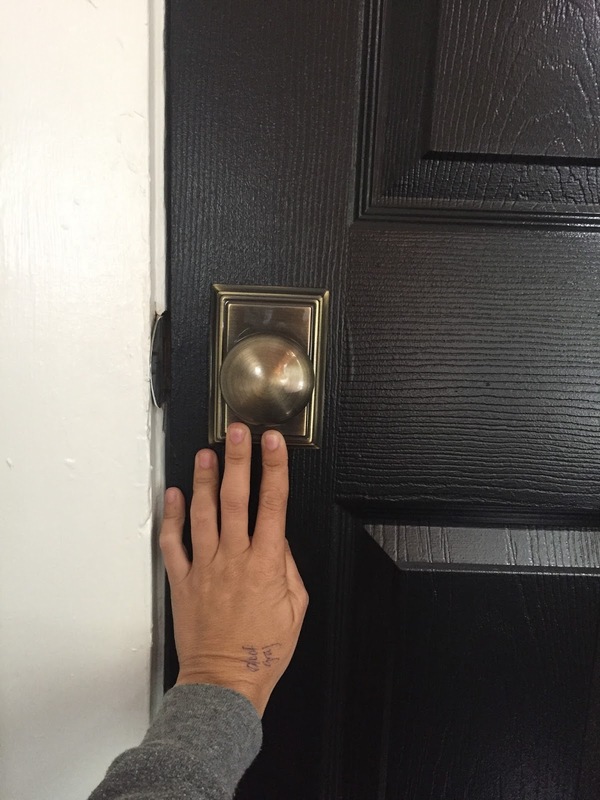 Another thing that I have been really excited about is to replace all the doorknobs (previously cheap, builder-grade brushed nickel looking ones) with brass knobs that make more sense with the 1930's home. I ordered these Schlage ones and they came in (after being delayed shipping and I waited like a month and a half) and are NOT the color they looked to be online. Such a disappointment! Build.com was kind about taking them back, and I have since ordered these. 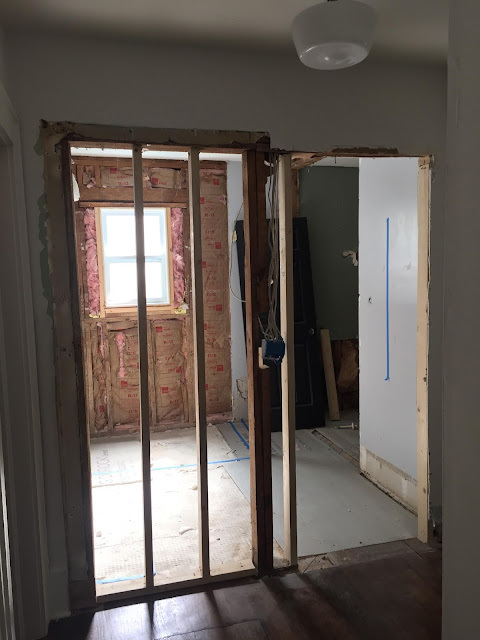 The biggest change is that I TOOK DOWN A WHOLE WALL. Well, I didn't take it down, but I hired some guys to take it down. I had to work all day the day that this happened, and so I came home to quite the change. I was really excited! 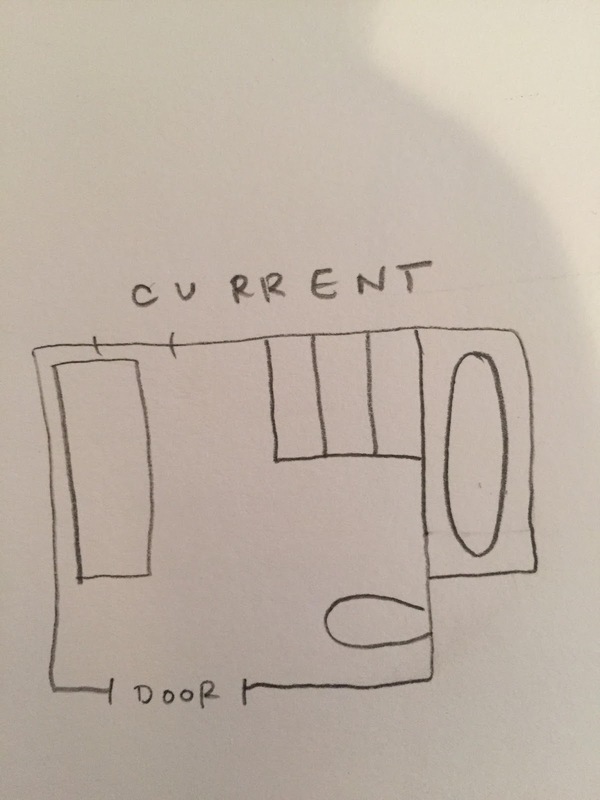 A lot of people that follow me on my instagram were worried about the floor plan change in such an old home. 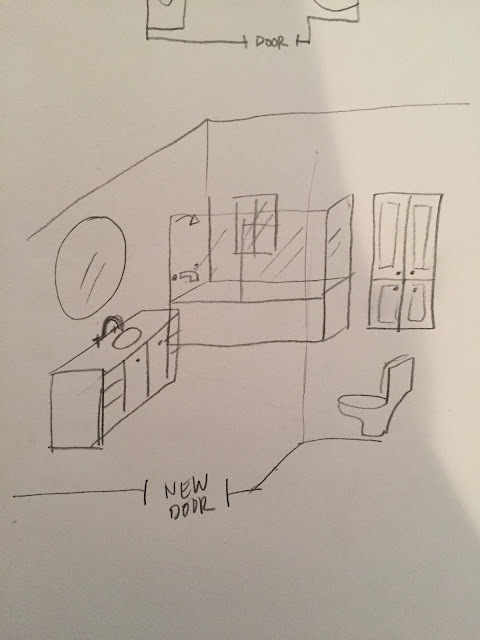 I understand, and am not always all about changing the floor plan to open open open, but in this case, I think it really helps with the flow (that little vestibule before was pointless) and also creates more light and a bigger feel. Here it is this morning. 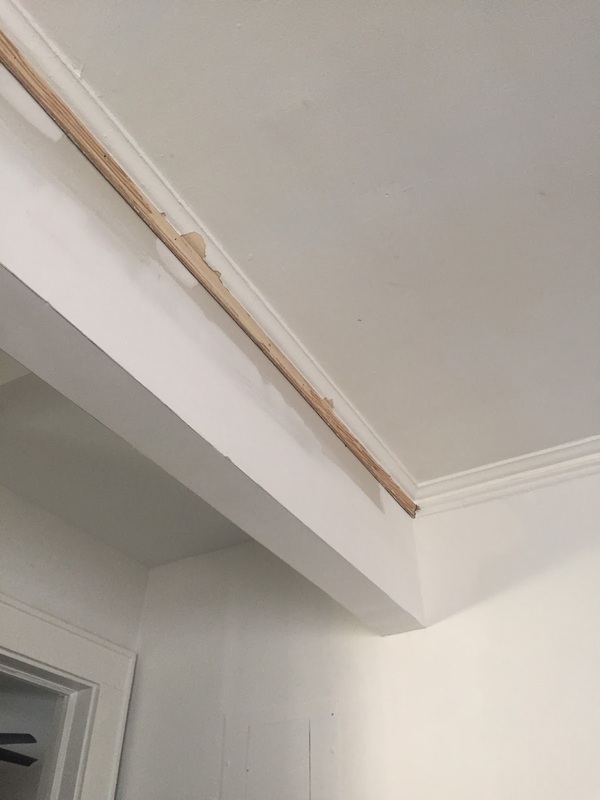 The drywall was repaired and a new piece of (old) moulding was added. I think they had to buy it at some kind of moulding salvage place to match the existing old moldings, which I loved. There had to be a 16" header where the support beam for the house is. The other option was a hidden beam, but that is so much more expensive and invasive. I opted for the less expensive version, but still love the openness. I can deal with a little header, especially with everything all painted white. Next, is a kitchen reno. No, I didn't mention this before, because I was initially going to wait on it. But, after talking to lots of people and having so many great vendors that I know and love from having worked with them on clients' homes, I decided to go ahead with it, so that I can enjoy a beautiful new kitchen for the whole time I live here, vs only a few years or something (who knows how long I'll be here). 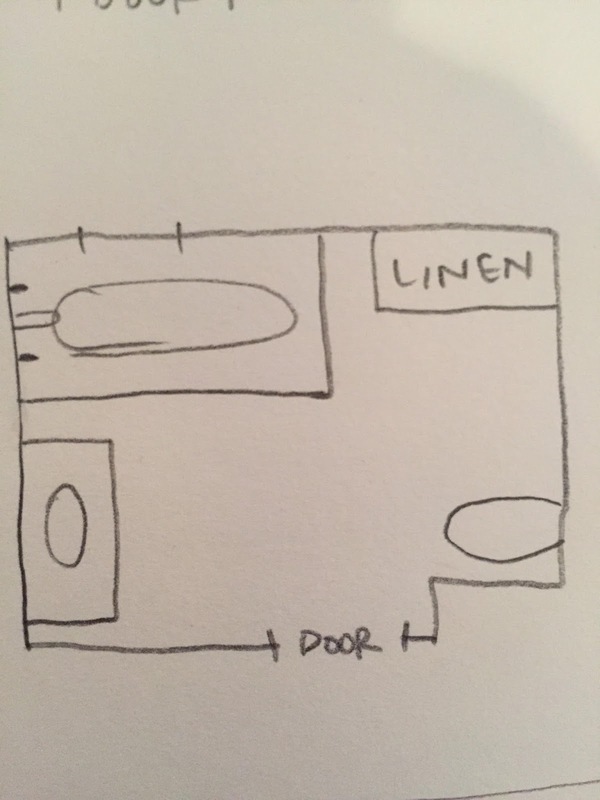 The layout of the kitchen will essentially stay the same, because I don't want to deal with moving water, electricity, etc. Plus, I just installed the dishwasher (another thing I've done! Well, had someone do...). The 2 major changes are that I'm going to add a peninsula to the left side of the stove that will come out 5', and include a little bar area with 2 stools. 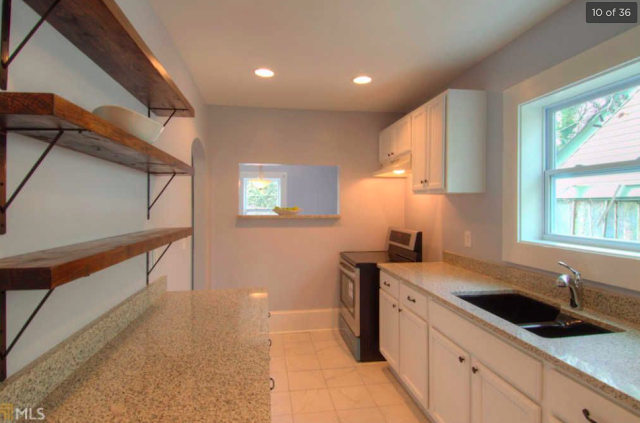 I will also be taking down the open shelving (cute but not functional) and the deep counter there and doing a shallow (15") wall of pantry/shelving (STORAGEEEE!!!) that will also include a built in microwave. Freeing up lots of counter space, and where I am losing counter space where the existing open shelving/cabinets are, I will be gaining it (plus some) where the peninsula is. So, I will have 3 working counter areas, which is enough for me (I'm no chef). 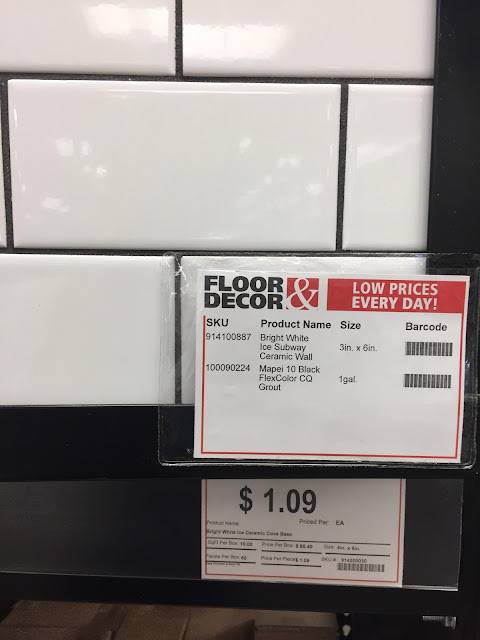 I'm also taking out the tile floors and putting in matching hardwoods in the kitchen area. New pantry wall. 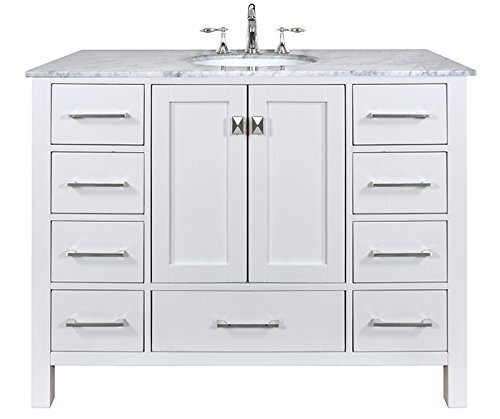 I mean, so much storage, and since it's shallow, it'll make the floor space in the kitchen larger and less "galley-feeling", I'm hoping. New front elevations of kitchen! YES! I'm also really excited to be back in the world of hidden trash and recycling. It's the little things. haha. You can see that there will just be a new vent on top of the stove - no more tiny cabinets up there (pointless because they're hard to reach, and also feel dated to me). 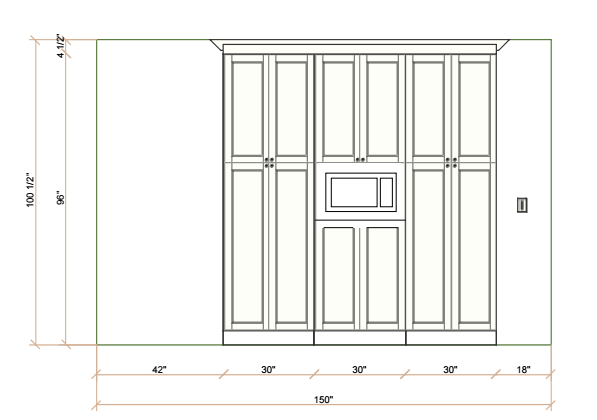 I am really excited for the cabinets to go to the ceiling, as well as the cased in box for the fridge. It's going to be such a cute little kitchen, and so much more functional than it is now. I'm hoping to not only enjoy the prettiness and functionality, but really be improving my home's value in the long run. The cabinets I have now are white and don't look too rough in photos, but they are actually old gross cabinets from who knows when, that were painted with what I think is primer. There are drip marks and brush marks everywhere. As a former cabinet painter, it drives me nuts! Plus, they were hung really high, so I can barely even reach the second shelf. Other ridiculousness I've been up to is decorating (of course). The other day I had to go to Homegoods for a client and came home with lots of new bedding for my bed. Ha. 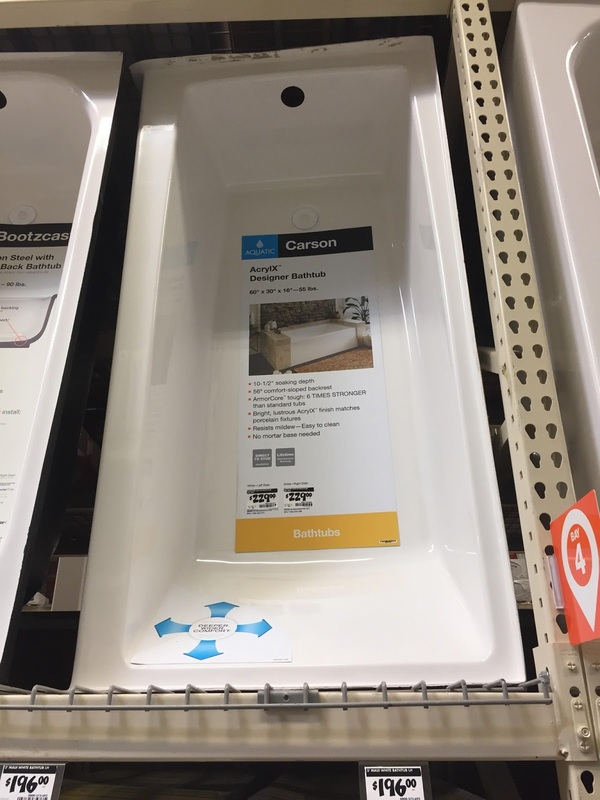 My cart below. 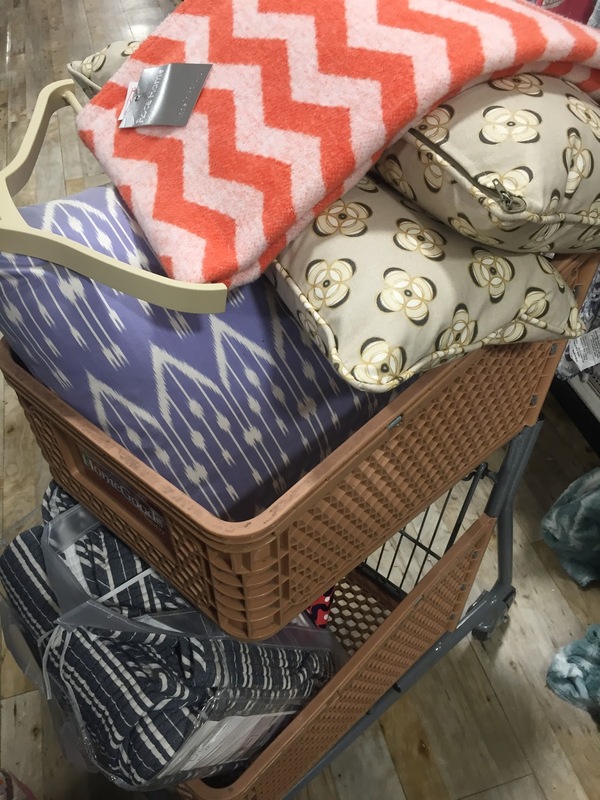 I have been coveting those Serena and Lily (the tan ones) pillows for months, and they are now on clearance and live on my bed. Such amazing quality and on clearance for $18. I also bought this fun Kate Spade (not on clearance, but not bad for $50 at Homegoods vs who knows what originally!) pillow that's in front. I love the juxtaposition of the two elements. The pillow reminds me of some of Kate Roebucks paintings. I also bought the blue and white striped quilt which sits on top of my white duvet from Crane and Canopy from years ago (So soft, I love it). I also bought a custom HUGE bamboo shade for the master bedroom. So much easier than moving two shades up and down all the time. I bought it from Blindster.com and really really love it. I plan to add curtains to either side as well. I'm actually headed to Lewis and Sheron today for several clients, and going to look for fabric for myself, as well. I do plan to add some built in shelving to the left of the fireplace. That's happening soon. last but not least, I found some really great thrifting scores recently at the Goodwill in Buckhead. YES! It's fun to shop for my own house again. For so long (like 2 years) I was really uninspired to buy anything for my house, because it wasn't permanent so it didn't feel as important. It's so fun to be making this place my own and feeling like adding my personal, quirky touches to such a sweet traditional 1930's house is what I was always meant to do. I feel very connected to this home and really love it. Also! I love the new neighborhood. It's called Westview and there are SO many beautiful homes over here. If you are in Atlanta, wanting to live inside the perimeter, near the Belt line, I do encourage you to check it out. Minutes from downtown and all the places I have been frequenting for the 15+ years I've lived in Atl (I'm old). Anyway. That's a post for another day. Have a great Thursday!